Teachers and team builders in B2B bonds across teams and departments to promote maximum success. 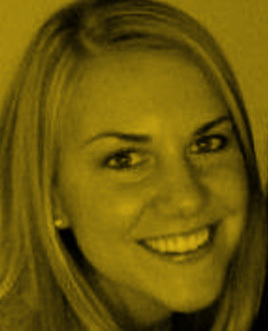 Amber Stevens joined Curata in August of 2016 as VP of Marketing from WordStream, one of Boston’s highest growth tech companies, where she was instrumental in tripling the marketing team, boosting lead generation efforts, expanding channels and developing repeatable processes. In her time at Curata, Stevens has doubled the marketing team’s size, filled out the team’s tech stack and launched a series of new programs and campaigns to increase success for the marketing and sales teams. Thanks to Stevens’ leadership, Curata’s marketing team has launched an Account Based Marketing (ABM) strategy, a blog redesign, revamped its email nurtures, created a series of tutorial videos, overhauled lead scoring, increased content production and more. She has not only led the marketing team to success at Curata, she has served as a mentor and leader for all members of the team. Stevens encourages members to attend events and classes in their respective specialties, finds speaking, presentation and writing opportunities for her team, and is vigilant about helping all members advance in their careers. 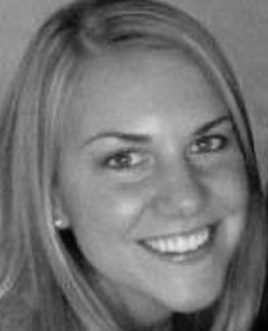 Amber organizes regular team outings, off-sites and lunch and learn sessions. She balances communication with her team with an effective mix of group check-ins, team performance updates and individual meetings with direct and indirect reports. Most recently, Amber conducted a communication style assessment during our quarterly planning meeting. It’s rare to find a leader who is willing and able to find time to mentor their employees, especially when juggling the ever-changing demands of a growing software startup. With a predominantly new team (four of six team members have joined within the year), we’ve accomplished quite a bit and learned how to work together to get things done. I’m proud of the sheer volume and breadth of what we’ve accomplished in a short period of time – launching an ABM campaign aligned with sales stages to trigger direct mail, email nurturing, integrated online advertising; a redesigned blog that tackled both aesthetic and technical updates to lift performance and readership; a partnership with sales around events that has improved ROI; a dedicated focus on producing sales enablement content that has influenced almost every dollar of pipeline last quarter; a 5X growth in public facing customer testimonials, the list goes on and on. Each member of the team has contributed to the evolution of the Curata brand by balancing focus in their individual areas of ownership with supporting their teammates when needed. I think innovative ideas are born from three major places – examining data, being human and building a network. With data, until you’ve benchmarked yourself, you have nothing to compare good, bad or indifferent to. I love data – it’s what gets the “what could we do differently” juices flowing. It points you in a direction and gives you a purpose to improve. For this reason, I’ve encouraged my team to find three to five data points that are most critical to understanding the health of the “business they’re running” and to track and analyze trends in those data points at recurring intervals. We review these data points for each part of the team every two weeks. The second way we try and approach innovation is by ”being human.” Using intuition, experience and emotion – in addition to thinking in scale and conversion rates – is an important balance to data based optimization. Some of the most innovative ideas come from just putting yourself in your customer’s shoes and experiencing something as they would. I often encourage teammates to “read it out loud” or “read it to your mom.” It’s amazing what you’ll uncover in tone, word choice and overall feeling by reading your work out loud. The third area is from your network! I try and encourage my team to get out in the local community and make friends. There are no excuses in Boston – so many great events are always happening. Simply attending and hearing what others are thinking about can spark great ideas. I think it is important to always be questioning and evolving regardless of your market, product or target buyer. Assuming that the same ol’ bag of tricks will work in every environment, for every buyer, every time is a losing strategy. We’re marketing to people and people are finicky beasts! Trends, news, the economy, politics – all of these outside influences will impact them and make them react and think differently than they may have the day before. People also get bored easily and soon, that data that told you “the best time of day to send email” and “highest converting words to use in subject lines” becomes mainstream. You can either define what comes next, or get tuned out. Güçlü Ozsayin has been with Samsung Electronics France for nine years and prides himself in his ability to create amazing value. Having spent several years in data management and reporting, Ozsayin contributes strongly to the company’s performance, aligns sales and marketing for shared objectives and works with relentless motivation and passion. He loves to read and travel to discover and understand the history of civilization, and to better understand today’s social trends to prepare and project a better future. 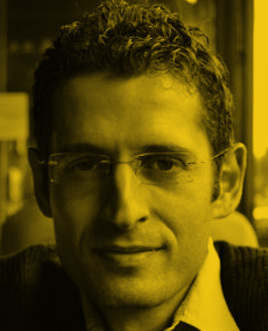 As Head of CRM & Digital — B2B at Samsung Electronics France, Ozsayin built and executed a digital demand generation strategy and continuously collaborates with key stakeholders, content and technology providers to oversee the implementation of automated lead generation and nurturing campaigns that align with business goals. Ozsayin has helped grow marketing contribution to sales pipeline from 5% to 40% in just 18 months. Samsung Electronics Co. created the Samsung Business division to start supporting companies and administrations in their digital transformation. Headquartered in Paris, Ozsayin and his team at Samsung Electronics France help the French business sector leverage new technology to optimize productivity, strengthen customer relationships and create value every step of the way. Continuous innovation has been one of the three axes of my team management, along with other two axes, which are revenue generation and collaboration with the marketing and sales teams. I implemented a simple tool that helps coordinate these three axes efficiently to spare enough time for innovation in spite of our very busy and ambitious agenda. Each task is measured and scored out of five based on its contribution to these three axes and its weight on daily work lists. The objective is to move upright as much as possible. By repeating this analysis every quarter, we are trying to take the right action plans to hit our target. In less than two years, we have managed to move the bulk of our marketing budget from not having ROI-related traditional investments to having demand generation, technology and content marketing investments. This has happened thanks to the swift increase in marketing contribution to sales pipeline from less than 3% to 40% after two successful demand generation campaigns. I believe that as we improve our customer understanding quickly, keep enriching the Martech stack and optimizing digital media investments, we will reach 70% within six months. Can you share any details about how your team, or individuals on your team, have helped drive innovation or how your whole team has helped achieve results? We have created an organization that is very much aligned with the buying funnel. This helped clarify each member’s role and find common projects and goals to create strong synergy and team spirit. Jeanne Hopkins joined Ipswitch in 2016 and leads the company’s worldwide marketing organization, focused on building a metrics-based powerhouse to fuel demand. Prior to Ipswitch, Hopkins held executive marketing roles at HubSpot, SmartBear, Marketing Sherpa, Continuum Managed Services, and MEC Labs. At HubSpot, Hopkins’ leadership helped the company land on the number two spot on the Inc. 500 list of fastest growing companies by generating 50,000 net new leads per month. She is also a very accomplished writer, advisor and speaker. Hopkins co-authored “Go Mobile”, a top-selling mobile marketing book on Amazon.com, and serves on the Advisory Boards of Bedrock Data, BrightInfo and the Sales Lead Management Association. She has won several industry awards for her achievements as a marketing leader and was most recently named to CRN’s 2016 Power 100, an elite subset of the annual Women of the Channel list. Hopkins believes in four must-have-tools every marketing department needs, including supportive relationships, understanding analytics, leveraging marketing automation and email, and understanding SEO. If you utilize these “tools” at your disposal, the success of your B2B marketing team will follow. She is also a firm believer of getting buy-in from senior management in order to plan and execute marketing programs that work. Hopkins “wrote the book” on making high-quality educational content available in order to be a supportive, useful and thought-leading vendor, and ultimately generate high-quality leads for sales. She continues to do that through multiple channels at Ipswitch, including blog posts, a podcast series, and digital materials such as E-books and white papers. As a team, Ipswitch is moving towards a single instance of Salesforce, Marketo and our Partner Portal. The value of having one pipeline to manage and analyze will save our organizations hundreds of hours each quarter. While marketing is positively impacted by this technology optimization, it also helps Sales, IT, Finance and other departments that depend on a single source of “truth” when reviewing data or planning. A huge win. My team works in the Agile model. We leverage Basecamp as a tool to assign tasks and work with outside vendors and as a campaign tool. Basecamp has a calendar tool that allows each team or individual to see what the deadlines are and what needs to be done. This tool has allowed us to launch 13 products in three geos so far this year! Individually, team members are encouraged to show initiative in driving MQIs for the sales organization. We’ve been able to increase organic traffic by 30% over 2015 levels – considered the highest benchmark, pre-new website integration – and MQIs 132% in our current quarter. We’re all focused on growth and associated bookings. Do you feel like B2B marketing needs to shake things up a bit to avoid being boring and dry and how have you tried to address this? Being yourself is critical. Most people are happy to work with you if you don’t assume the worst. In most organizations that I have joined, I’ve spent time rebuilding the bridges that have been burned to a crisp between departments. No person wishes to be dismissed or relegated to the edge of an organization. We are a team, and we succeed together, not separately. When I joined Ipswitch, I eliminated three non-productive roles and moved other team members into leadership positions so they could shine and manage the business of Marketing. I ended the ongoing non-productive meetings and the endless production of reports that were never read. This allows each person to concentrate on the goals of the month, quarter and year. 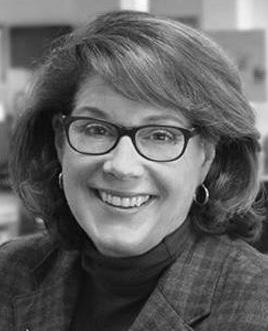 Leslie Cozatt is an accomplished marketing and creative services expert with extensive experience in developing demand strategies that get results. 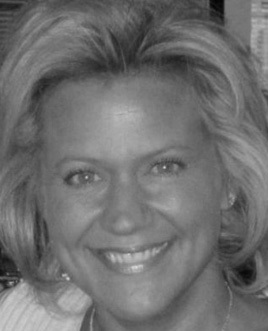 She has well-rounded expertise in strategic planning and creative development and execution for comprehensive, integrated marketing programs and campaigns with a strong proficiency in strategy, campaign design, consultative selling, client relationship development and management, creative development, and program management. As head of Optum Provider’s Thought Leadership and Content Strategy, she understands the importance of timely and informative information that helps healthcare leaders make smart, effective decisions. Cozatt has a proven track record in successfully managing complex, integrated marketing initiatives involving multiple product/service lines as well as new product launches or re-brands. Team members rely on her vision and guidance to utilize content for Optum’s lead nurturing campaigns. Under Cozatt’s direction, the Optum Provider Marketing team developed its highly successful “#5in5—Industry Experts Answer Five Questions in Five Minutes” campaign. Leslie’s 20-plus years of experience in B2B and B2C integrated marketing were instrumental in teaching her team how to shape this large-scale, long-term content marketing campaign. Cozatt’s leadership and Optum’s dedication to providing timely and informative content has resulted in some impressive returns for the #5in5 campaign, including 127,906 page views, 776 new leads, and more than 4,000 high-quality, C-suite and senior management subscribers just to name a few. We really started with a little database we were marketing towards. This was a new way of marketing. While our initial benchmark was flat, the growth we saw was impressive. We piloted it with an initial campaign and built the nurture foundation underneath it. Our first campaign, three years ago, saw immediate success. Now I’ve been asked me to roll this process out and train all marketing teams domestic and internationally. It was adopted company wide. The cool part is the growth; i wouldn’t ever take full credit for this — especially at our company. Can you share any details about how your team,​ or​ individuals on your team​,​have helped drive innovation or how your whole team has helped achieve results? The company is structured by segments and verticals because we sell different products. I work in the provider area, then we have our marketing services department. The team consists of whatever resources we need to do something. These are virtual teams; everyone is so collaborative and it’s such a great positive impact on everything. This innovation is one of the five culture foundations at United Healthcare.